NEW YORK—When all is said and done, Americans and the police who live and work among them may find a way to coexist, largely thanks to the technology of the body camera. Though thousands of small and medium police departments have purchased or used cameras in some capacity since about 2010, recent events in Ferguson and New York City have highlighted the need for both police and the public to have a firsthand view of what happened when an officer was on the job. In Rialto, Calif., where police adopted cameras early and backed their testing phase with the scrutiny of an academic study through the University of Cambridge, it’s hard to imagine life without the small devices that officers now wear every day. Rialto’s early adoption of body cameras and systematic approach of testing and assessment every 12 months has made the department into a de facto case study. 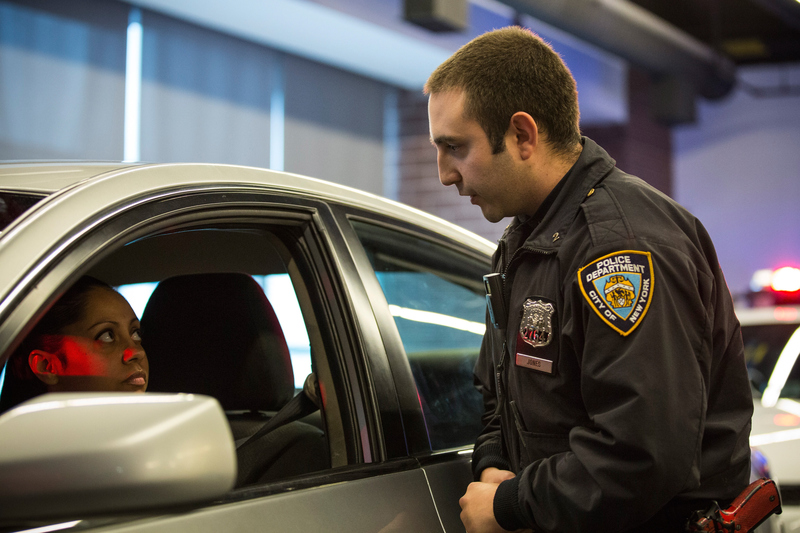 England now has a program up and running, New York just launched the first phase of its pilot program, and Los Angeles announced on Tuesday that every officer would be outfitted with a camera. Every officer on Rialto’s force of 115 is assigned a camera, and Farrar said the dramatic benefits to the department and the public is undeniable. In the two-and-a-half years that Rialto has used the cameras, there have been about two-thirds fewer complaints and more than a 50 percent reduction in the use of force. Those are common benefits that many departments expect to see, but Farrar said one of the most dramatic side effects is the 40 percent decrease in overtime hours that used to be spent by officers testifying in court. “For me the best thing I’m seeing is court time going down,” he said, and added that it is just one of numerous unintended consequences. In Seattle, where Vievu, one of the major suppliers of cameras, is based, the police force of 1,500 officers is just beginning to test cameras. The difference is that they’ve witnessed failed programs in nearby towns that imploded largely because of a lackluster or missing policy on the cameras at the outset and a crushing demand of public disclosure requests. The department, which just released its body camera policy last week and is about to initiate pilot use on 12 officers, is taking things one step at a time—and then some. While the street application is being tested, the Seattle PD is busy tackling the two most daunting aspects of body-worn cameras that larger police forces note particular concern over: technology and privacy. Washington state’s privacy requirements are some of the strictest in the country, including two-party consent just to record audio. That means that beyond the typical uploading, storage, tracking, and maintenance issues that all departments face, Seattle’s police department will have to find a way to strip audio from video. They will also blur key information out of footage to protect privacy, such as eyewitness or victim faces, home addresses, and inadvertently recorded footage in places like hospitals, where information about minors or other patient data might be recorded. It’s a minefield of issues that are impossible to anticipate absolutely. They are being proactive about how to solve the myriad of technical solutions that they don’t have the capacity or expertise to handle. On Friday, Dec. 18, the Seattle PD made the unusual move of hosting a hackathon of about 35 computer developers and software experts and four tech companies, including Microsoft. Timothy A. Clemans, a 24-year-old freelance computer programmer from Seattle is taking part in the hackathon and has been working with the police to develop a solid system that will protect privacy and satisfy the demand of public access when possible. 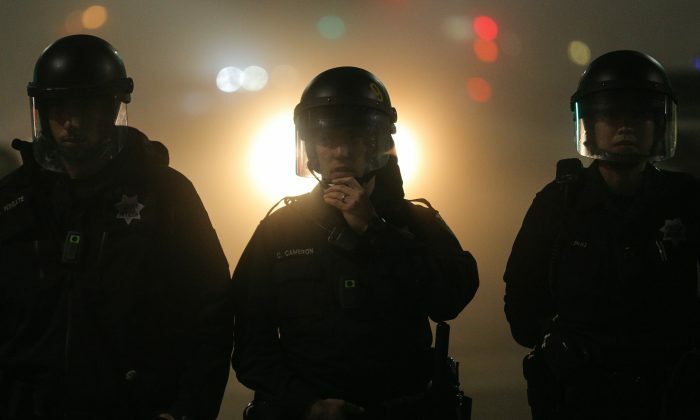 Part of the concern with implementing body cameras has always been the associated costs, particularly for large forces like those in New York and Los Angeles. Earlier this month, though, President Barack Obama pledged up to $263 million for cameras and training. It should be enough to increase the number of cameras on police by up to 50,000. It has also freed up many departments to move forward with pilot programs. According to Jay Stanley, a senior policy analyst with the ACLU, even before events in Ferguson and New York City that led to massive public protests over the use of police force there was a push to get cameras out on the streets. Stanley points out that amateur video taken by bystanders has increased the profile of how police interact with the public, and has created a sort of public mandate for greater accountability and a better record. He said that because so many videos have surfaced in recent years, police officers increasingly feel that bystanders could film them at any time. The practice is a constitutionally protected right in public spaces, as long as the bystander does not interfere with police in carrying out their duties. But Stanley points out that body-worn cameras won’t be a cure-all.